The Amazing Benefits of Walking! A good movement trainer with integrity will never say, “I can transform your life.” That would be disingenuous and unsustainable. What they should do is let you make that promise to yourself! If you can say, “I can transform my life”, and really mean it, then you’re one step closer to making it happen. My job, and any good trainer’s job, is to give people the tools to help their promises become a reality. And transformation IS possible. Of course it is! If you’re wanting to lose weight, improve your health, your mood, your LIFE! But are having trouble getting started. Or if you know someone who needs a kick start to doing the same then boy, do I have the perfect remedy for you! Yep! it really is that simple. I thought it all up by myself! Walking is so universally great that Olympic & The Wilding Project just launched a walking and fitness challenge called #febfit19 for our club members and their friends. I’ll go out on a limb here and make a bold claim. The benefits of walking are so numerous they will not all fit in this blog. 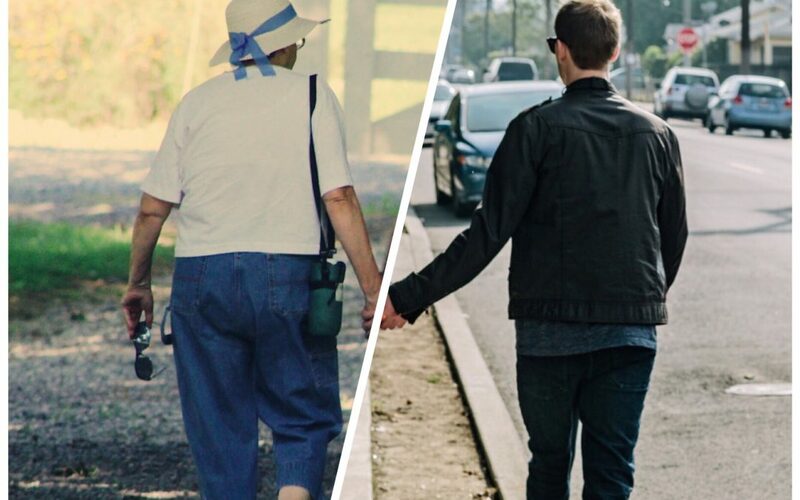 But your body already knows that walking is a good thing. From the moment of your birth you were desperate to get vertical! It was encoded in your DNA! And you’ve been doing it for a long time! Maybe not well, or not often enough, but you know how to walk. Now I should clarify one think, when I say ‘walking’ I include moving with help from a mobility device like a wheelchair or a walking frame. Yes, walking is a good thing. You will need (or at least I recommend it) to go out your front door and not come back for a while! Unless you want to walk around the house. And you can do that too! Of course there’s a whole bunch of technical guff that makes it obvious how good walking is for your body and I’ll get to some of that later, but only if you’re are not convinced to start walking after I tell you this! If you walk at night you’ll see stars! If you walk at dawn and you’ll see the sunrise and hear birds singing. Walk on the beach in the evening and you’ll feel cool sand on your feet. Walk in a forest and you’ll breathe air so fresh your lungs will hug you. Walk at dusk and you’ll calm your soul at the sight of sunset. Walk with a friend and you’ll share life! Walk on your own and you’ll get a chance to slow down, clear your mind and let the tensions of the world drift away. When you walk you will see stuff! How much you see depends entirely on your level of curiosity. And while you’re walking know this, this wonderful form of self-propelled commuting is making almost zero impact on the Earth. In fact, walking is so darn amazing that I can’t think of a single reason why you should not walk. And Walking will be the one exercise you can expect to be able to do for a very VERY long time! Long after your ability to muscle up has evaporated! Yu should get out and walk. Learn to walk well and never stop! Not convinced! Hmpf! Okay, let’s get to the technical stuff out. Walking briskly for 30 mins a day can lower your risk of high blood pressure, high cholesterol, and diabetes (all risk factors of heart disease) just as much as running can. This is according to an April 2013 study conducted at Lawrence Berkeley National Laboratory’s Life Sciences Division in Berkeley, California. Walking is low impact and easy on your bones; easier on the knees, hips, and heels than high-impact exercises such as running and aerobics. 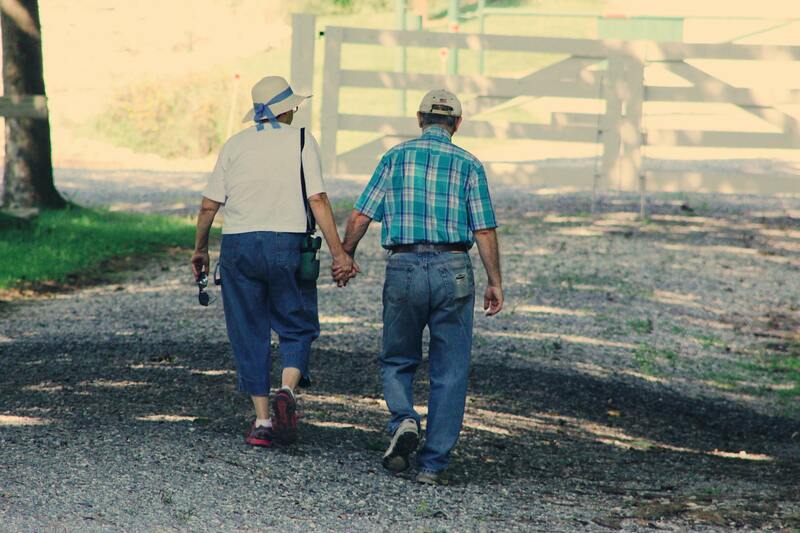 But, on the flip side walking can help build and maintain bone density and decrease risk of fractures. We also know that walking outdoors can have a wonderful effect on your mood, improve mental health and reduce the risk of developing Alzheimer’s disease! A 2015 study conducted at Stanford University found that people who walked in a natural setting such as a park, as opposed to a high-traffic urban setting, showed fewer symptoms of depression. I’ve commented before on how great exercise, including walking, is for your brain! Vitamin D! Over a billion people worldwide are Vitamin D deficient and walking outdoors can give you a critical boost of vitamin D.
Walking can improve your eyesight (not kidding), improve digestion, tone your muscles, improve your posture, alleviate back pain and leave you and your mind calmer. And if you walk with a friend or loved one, even better! In fact, I don’t think there’s a good reason not to walk! So do it. Go solo or form a posse and walk! Video workouts you can do anywhere! And an opportunity to consolidate your progress in March!